Specialising in events, live music & motor sport. 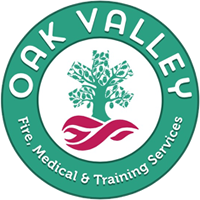 Oak Valley Event Fire Medical & Training Services was established in 2005 by Fire Officer and Paramedic, Dave Ogden. Dave is proud to have developed Oak Valley into one of the busiest independent providers of event fire cover in the UK. Event fire & rescue services surpassing current regulatory requirements. Fully qualified water rescue services for film & TV. A comprehensive event medical cover service using fully qualified staff. Delivering Qualsafe compliant fire, medical & first aid training. Combining our medical and fire event services ensure that we can attend an occasion with fully qualified Firefighters, Paramedics, Technicians or Nurses who have received extra training in rescue techniques. We can provide a comprehensive service in one unit – reducing the expense of using multiple agencies. We have vehicles to suit all situations, including a fully kitted mid-sized fire tender, small enough to drive into buildings but carrying a large capacity water pump. We have several off road vehicles carrying firefighting and rescue equipment – perfect for festivals. We can also send a quad bike fitted with a water tank and lance which is great for patrolling around the campsites, in between the tents. For Motor sports events you might consider hiring our multi purpose Rescue Units. These vehicles carry a variety of rescue equipment alongside a large capacity pump with foam capability. They are also mobile emergency medical treatment centres – with everything you would expect to see on a normal ambulance.